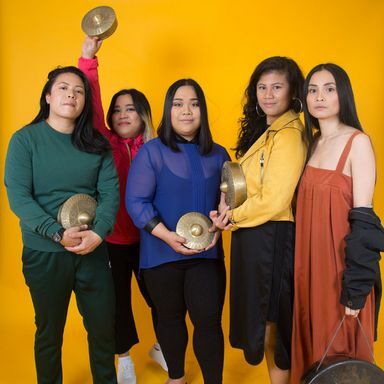 Toronto-based all-women Filipina-Canadian ensemble Pantayo play kulintang, a pulsing, tonally charged instrumental form of music from Southeast Asia involving knobbed gong-chimes arranged horizontally according to melodic relationships. Their own incorporation of synths, keyboards, drums and bass into the traditional form has been described as lo-fi gong pop punk, gentle punk, and celestial R&B. Clearly a performance not to be missed!